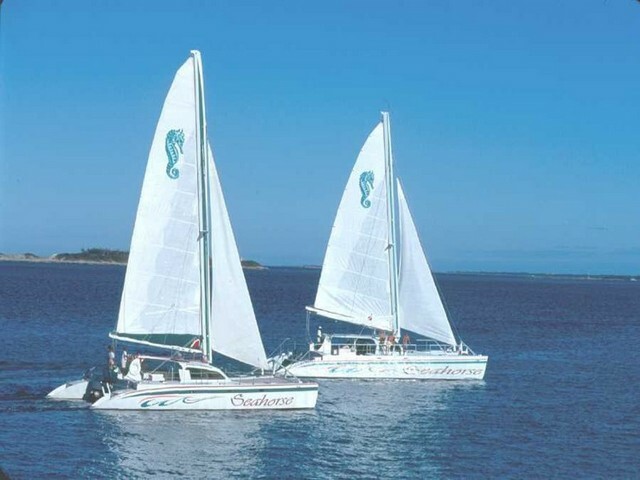 Be blown away... literally, with Seahorse Sailing Adventures' luxury catamaran sailboats. We will hoist our sails, turn off our engines, and with the compass set to a good time, cruise and create some enjoyable memories. Seahorse catamarans are not just vessels; they are sailing-venues for: weddings, dinner receptions, company fun days and socials, friend or family fetes, birthday parties, anniversaries, or simply, life itself! Light hors d'oeuvres, picnic brunches, canapés, platters, or four-course, gourmet catering is available, along with premium bar options! Private charters are available for half-days, full-days or evening dinner and cocktail cruises for small to large groups! Please contact info@majestictoursbahamas.com with any chartering inquiries. Our trips depart from Paradise Island Ferry Terminal, Slip #7. Turn your back on land & all its woes for a 3.5-hour sail. The catch of the day is this expedition that allows you to have both peace and play! Turn your back on land and all its woes for 3.5 hours and set sail. Engines will be turned off. Sails will be hoisted. The anchor will be lowered over a protected water park. So, gear up with the equipment provided, and be sea-duced with the perfect day! 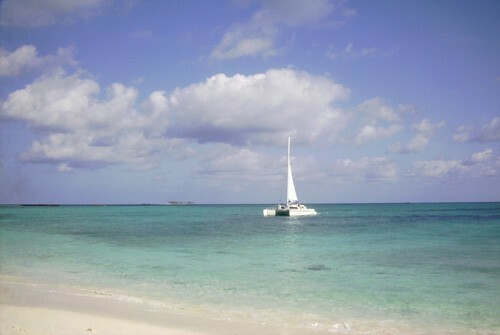 For those staying on Paradise Island, Check in at the Sea Horse Catamaran Slip #7, Paradise Island Ferry Terminal. For those staying on other parts of the island, a shuttle bus will meet you outside the main lobby of your hotel. The trip departs at the captain's sole discretion. No refunds for bad weather will be issued unless Seahorse Sailing Adventures cancels the excursion. 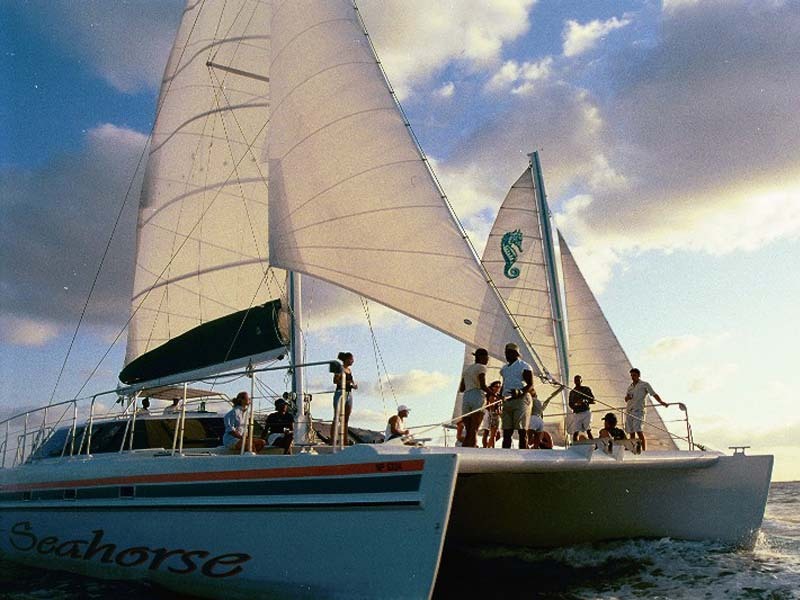 Seahorse Sailing Adventures reserves the right, under certain weather conditions, to omit specific portions of the program or to choose an alternate location depending on the condition of the ocean.